I had a go at this for the first time this week, and was so surprised at how easy it was. I simply cut two oranges into thin slices, about 1cm thick, and baked them on a wire rack for 2-3 hours at 100c. Make sure you keep a close eye on them, as they can burn quite easily. 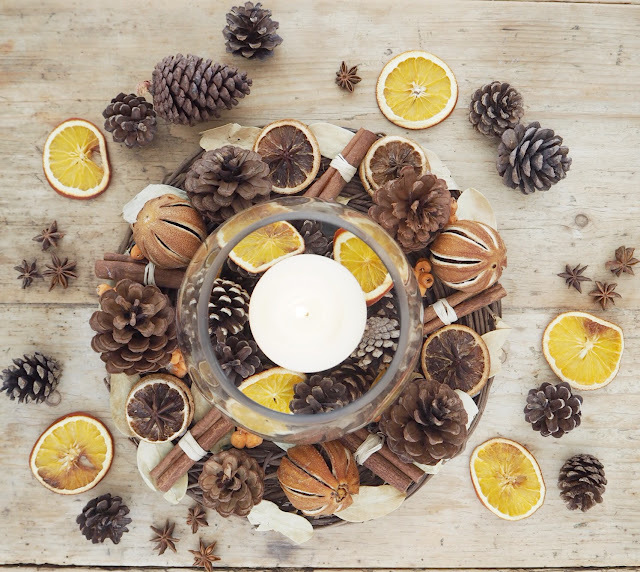 The best thing about this is the smell that fills your house while they're in the oven - so festive! 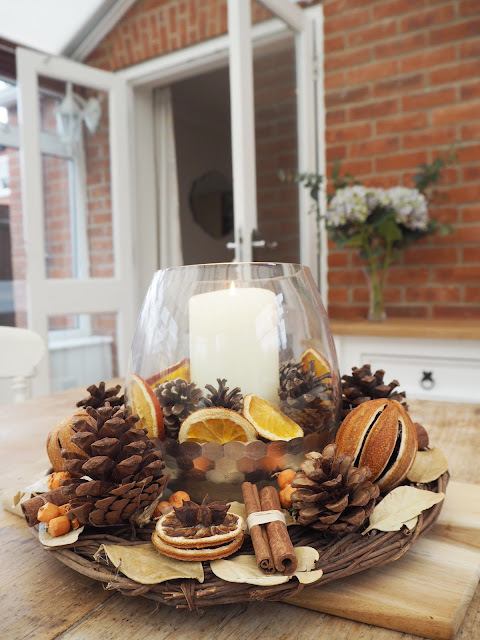 Last year I made a really simple display using cinnamon sticks, pine cones and orange slices - all things that can be picked up for a few pennies from your local supermarket, or even by going on a walk to your local woodland, for example. Here I've popped a wreath too around it to create more of a centrepiece. 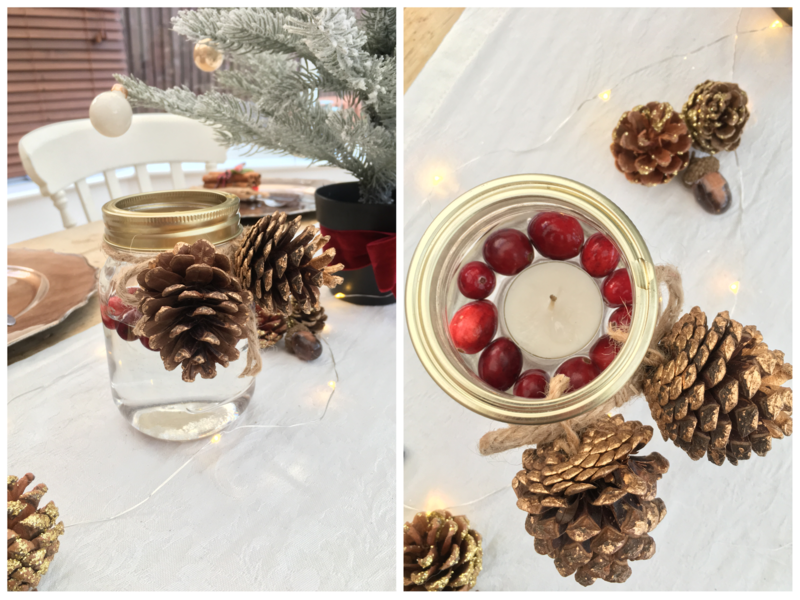 Another cheap and easy idea is to fill a mason or jam jar with water, drop in a tea light and some cranberries, and tie some pine cones around the top to create a perfect table decoration. 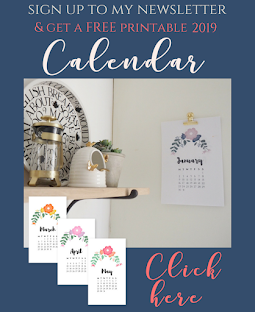 The good thing about this one is you could literally fill it with anything you've got laying around, and could even adapt it for different seasons. What decorations have you made for your home?